September 2018 marked the 20th Anniversary of Waugh Infrastructure Management. We are publicly celebrating this Anniversary over the next period with a series of blog posts and articles. We have also launched our 20th Anniversary web branding as shown in this blog post. Who knows where the time has gone, but it has passed very quickly. From Ross starting working from a desk at home in 1998 through to our current team of highly experienced staff in a busy office, the development of Waugh Infrastructure Management has been an exciting and at times challenging journey. To all of our clients, suppliers, support organisations, staff and sub-consultants a big thank you. Thank you for being part of the journey, and for the support you have shown over the past 20 years. As we celebrate this milestone of 20 years of Waugh Infrastructure Management, we are already looking forward to the journey over the next 20 years. 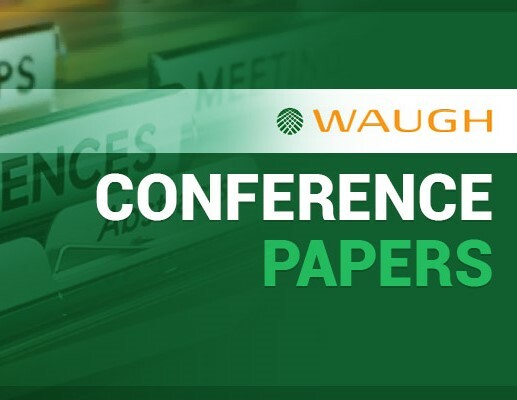 To receive notification via email on the Waugh Infrastructure Management 20th Anniversary Celebration and other posts online, please “Join our Mailing List” through the form below or at the right sidebar.